Caption slip reads: "Photographer: Olmo. Date: 1957-08-20. Reporter: Kline. Assignment: Missing pilot. 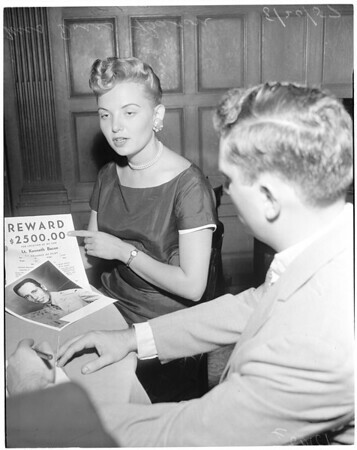 71/72: Mrs. Doris Bacon, 23, with picture of her missing husband in front of her".